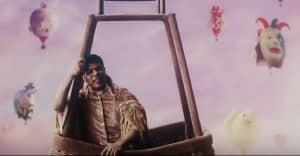 It seemed like iLoveMakonnen's rapping career might come to a close earlier this week as the rapper took to Twitter to admit that he was contemplating retirement. "It's like for me to stay, I have to diss all these rappers and be negative," he wrote. "I don't wanna do that, so I'll move on." However, Makonnen shared a new song today, again calling out unnamed rappers for trying to steal his style. Listen to "Sound Like Who?" below.